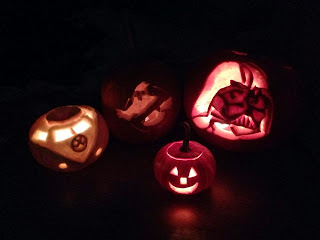 Mum of Five Staying Sane: Halloween & Half Term over & out. Christmas preparations, writing list & present buying commences. My rundown on Lego, Monster High, Play dough, Little People Super Friends, Vtech & Leapfrog Leapreader purchases so far!!! Halloween & Half Term over & out. Christmas preparations, writing list & present buying commences. My rundown on Lego, Monster High, Play dough, Little People Super Friends, Vtech & Leapfrog Leapreader purchases so far!!! So having just about survived spending Half Term with five children and a husband I can announce that no extension work was undertaken during this time!!! 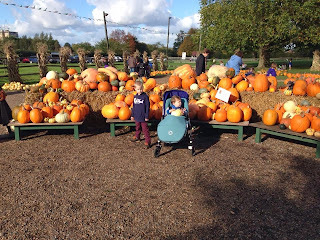 We made it to the pumpkin patch last Tuesday and we loved it. 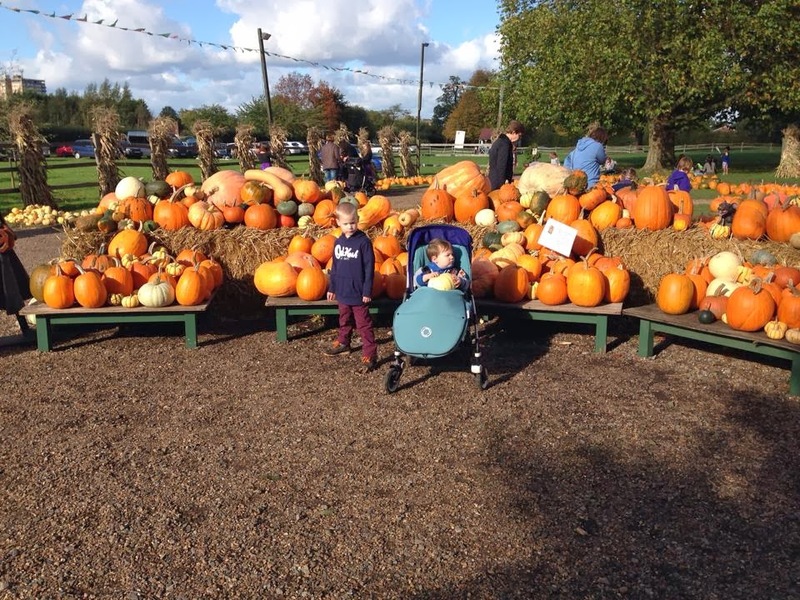 The children had a lovely time at Crockford Bridge Farm choosing their pumpkins. There was also a play area, face painting, apple bobbing, a fairy tale walk through the woods and an area to carve out your pumpkin if you wanted to. It was busy but lovely to walk around looking at all of the different colours and shapes/sizes of pumpkins. We chose 7 pumpkins in the end and we headed home to carve them. This turned into more than just your average pumpkin carving as you can see from the pictures!! I also made a pumpkin pie which I was told was nice. I've never made one before but it turned out well. At the pumpkin patch, there were so many to choose from! Our finished pumpkins, very proud of our efforts this year. We also celebrated William's 4th birthday last week. He got lots of presents including his Darth Vader mask, a purple lightsaber, a Batman costume, Fisher Price Little People Super Friends and lots of Play-Doh which he had been asking for. 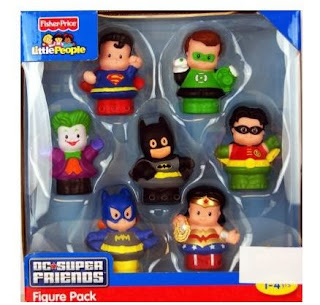 The Little People Super Friends are fab and very cute. For someone who is just getting into the whole Star Wars/Batman/Super Hero side of things these are great. He can name them all and it's just a cute little set of seven figures including Batman, Robin, the Joker, Superman etc... 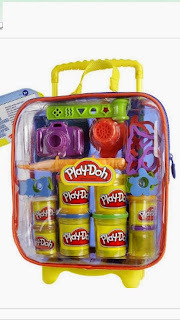 He also got the Play-Doh pull along luggage case which is packed full of cutters, moulds, rollers and plenty of play dough too. 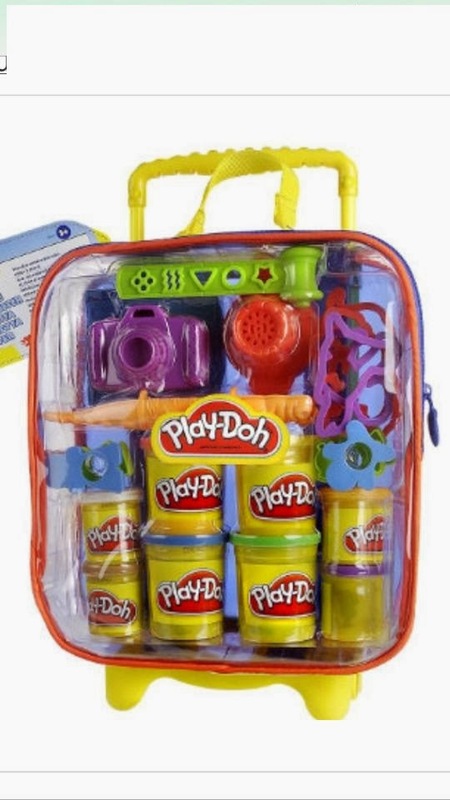 It's a very good size case and he can fit all of his things in it to transport around with him for when Play-Doh making is needed wherever he goes! We also went out for lunch and then we all ate a piece of the lovely Batman birthday cake. He had a lovely day and now we have passed his birthday and hit November it is official countdown to Christmas time!!! Fisher Price Little People Superfriends. My Christmas present buying commenced in September and I am happy with progress so far. Both girls have their Christmas lists saved on the PC and William has taken to saying 'I want that' at every toy advert on the TV! 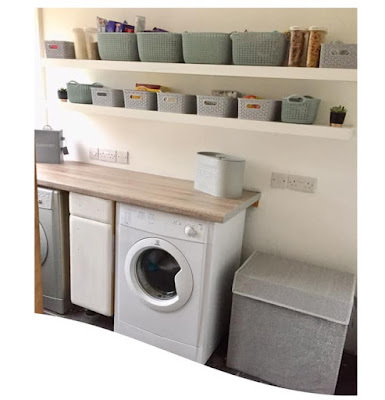 I have lists started and ticks against a few things already, the Christmas present storage cupboard, aka the downstairs bathroom that hadn't been turned into a bathroom yet, is filling up slowly and I'm happy with what I have bought so far. 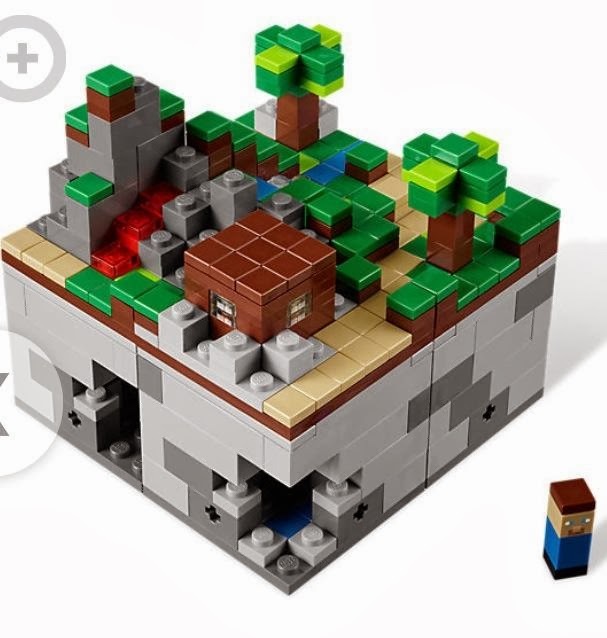 First up is a Lego Minecraft set. Minecraft is an online game where you build a virtual world using various different materials and then survive in this world by making other materials, weapons etc... It keeps our 7 year old entertained for ages as she builds, makes, rebuilds, combines materials to make something else and it's amazing what she does on there. Anyway, although I was initially disappointed at the size of the Lego box even though it says there are 400+ pieces I am sure it will entertain our daughter on Christmas Day and beyond. Our 4 year old also wanted Lego so we opted for a large tub of assorted bricks for him to make his own creations rather than one of the proper kits. We felt he was slightly too young for a follow the instructions set but thought that a 1000 piece tub should hopefully get his creativity flowing! We also got the Large Lego Head storage to put the 1000 pieces in, it looks fab and a funky piece of storage compared to a boring square plastic tub! Alongside a bargain Lego ideas hardback book from the bargains that can be found at The Book People, we think this lot should keep everyone busy for a while! Our 7 year old is also Monster High mad so next on the list was Monster High dolls. With so many to choose from and a decent collection at home already it was hard to search out the ones she wanted. It's this time of year where you get certain toys that are the must have toys and they are sold out everywhere but they are selling on auction sites at higher prices then RRP. As parents we are torn between buying them what they want but not paying over the odds. I was lucky enough to pick up a 2 pack set in a local shop the other day which included Clawd Wolf, one tick off the list! We also got Catty Noir, headless Head Mistress and Heath Burns hiding out ready for Christmas Day. She also has a Monster High scooter and the Monster High 13 wishes Room Party and Spectra on it's way. Monster High dolls are made by Mattel and sold by many various toy stores, online shops etc... Created in 2010 the dolls are inspired by monster movies, sci fi and various demons etc.... There is also a TV series, direct to DVD movie and a whole line of stationary, toys, bags, keychains and books written by Lisi Harrison. Monster High dolls are very addictive and like any other fashion doll there are the hard to find ones, collectible ones and the ones that send Mums and Dads into an Xmas frenzy as the children really want it but it's the one that everyone else wants too! 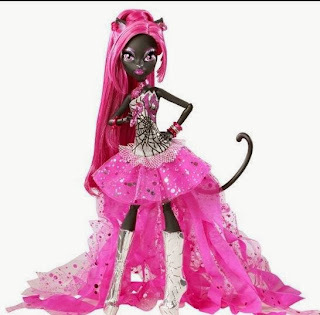 There is a huge global market and fan base for Monster High and their success is huge. The toys are well made, the detail on each one is well thought out and they have caught a good chunk of the fashion doll market. Among the goodies for our 1 year old we have the Vtech My First luggage. As always from Vtech it is full of lights and sounds and very well made. It is a pull along suitcase so it's perfect now that he has just started to walk. It also opens so he can put little toys inside, or the TV remote, car keys or anything else you lose and it's the last place you would look! This toy has two modes of play; travel or music. Learn different country names and their famous landmarks as well as learning about things you would pack as well as popular transport names and sounds. 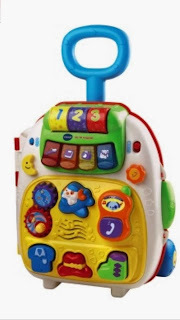 In music mode there are 20 melodies to choose from and the various buttons on the front make noises when pressed. 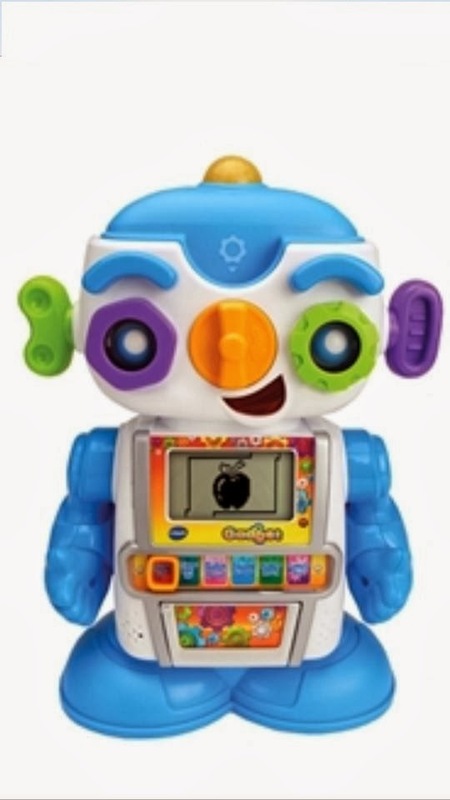 We also have Gadget the Robot from VTech. He is a fab sturdy size and has many features. Come and meet your cool robot friend – Gadget. He will teach you all about letters, numbers, objects, music and more. Pop in a computer chip, turn his nose and watch as his eyes and eyebrows move! You can also twist his ears and eyes for fun sound effects and phrases. Gadget will even dance for you and react to your clapping. Includes LCD screen, 6 modes of play, 26 letter/object chips and 4 funny chips. He teaches letters, numbers, objects, music and more and will be a very welcome member of the family! Our 4 year old has got the new Leapfrog Leapreader system. He got the Leapfrog Tag Junior reading system a couple of years ago and he loved it but he is getting a but older and the Leapreader system seems to be our next step. I have bought a dinosaurs book and the Monsters University book to go with it which I am sure he will love. 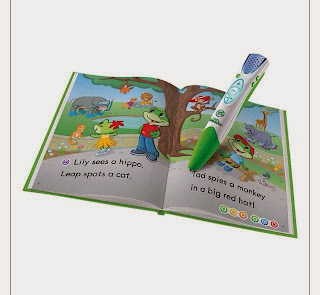 The Leapfrog range of reading systems have always been a favourite in our house. The Tag Junior system has also served us well and they teach a wide range of topics from a range of popular characters, Leapreader is the next step on the reading and learning side of things from 4 years upwards. Please see an earlier blog for a Tag Junior review; Leapfrog Tag Junior review He has also asked for lots more things too but we have to stop somewhere. The eldest two children are more difficult to buy for. Our 16 year old wants an NFL jersey, receiver gloves etc... But I am going to say 'wait and see'! He told me the other day that he read a bit of my blog, so I will keep quiet about what he is (or isn't) getting!!! So far Christmas shopping is going well. I still have lots more to buy and all of the relatives presents to buy too. However, I am pleased with progress. None of these presents have been bought without a discount code or on an offer or money off weekend/week from various retailers. Currently running is the Argos 3 for 2 offer but I have found over the past few days that Amazon have been dropping their prices on toys too so make sure you shop around before hitting the buy or reserve button! Happy Christmas shopping and more festive updates coming soon. I'm off for a cup of tea and a mince pie.